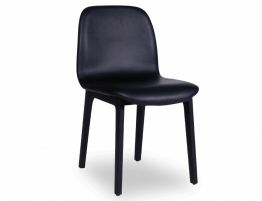 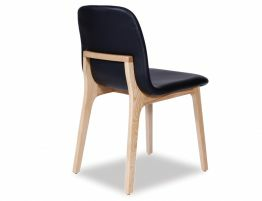 The Maxwell is a contemporary Scandinavian timber dining chair with a natural American ash leg and has a luxurious black padded seat. 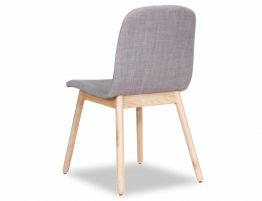 This is a dining chair that makes a strong smart statement in design and lines adding that modern finish to your table. 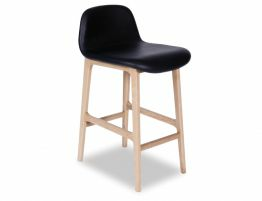 From the back, the Maxwell also features a nice design, with a timber brace which is very attractive, this is a nice point of difference to others.